Purchase the documentation provided to delegates (as a pdf), including presentation slides. This conference took an in-depth look the latest innovations in recruitment, with a focus on RPO, digital & social media strategies and the latest technologies. The event gave attendees the tools to develop cost-effective solutions that support their business agenda. 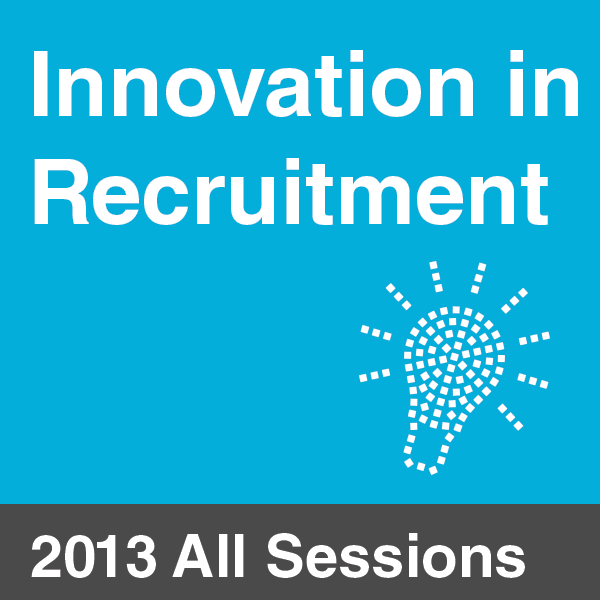 This conference helped streamline recruitment strategies and improve candidate experience. You can purchase the conference documentation as provided to delegates, including the presentation slides (as a PDF), clicking the ‘Add to cart’ button above. Session 5 Recruitment, service provider or strategic partner? 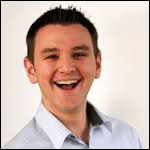 Gareth is the Talent Acquisition Manager for Allied Milling and Baking and has been in his current role since 2011. He has been in the wider Associated British Foods group since 2003, and has undertaken a range of HR generalist roles in both Allied and Silver Spoon, most laterly as the Head of HR. He has also spent some time out of HR, as a Site Manager for the Silver Spoon Sugar Packaging Plant. 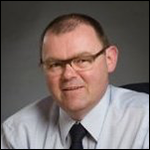 Nigel is the HR and Communications Director for Allied Milling and Baking and has been with the company since 2004. His career began at Walkers Crisps, as Technical Training Manager. After PepsiCo acquired the business, he moved to senior operational HR roles including Regional HR Manager Manufacturing and Divisional Employee and Labour Relations Director, covering Europe, Middle East and Africa. Tony is a Senior Lead Recruiter for Autodesk and is responsible for the direct sourcing strategy across the business throughout EMEA. Since 1997, Tony’s experience reaches from agency to RPO’s and has a wealth of knowledge within in-house recruitment methodologies. His extensive creative sourcing strategy has financially helped companies streamline their recruitment function decreasing cost per hire across the organization. Experienced in using online tools to leverage candidates pipeline and brand awareness. Tony is very passionate on driving new innovating ideas within a sourcing model, simplifying strategic corporate recruitment statements into results. Prior to Autodesk Tony worked for Solutions Driven where he managed onsite RPO and then setting up the executive search office in the south UK. He is currently studying Business Studies with the Open University. Starting her career in the Employment Service, Sue gained experience of helping a vast array of organisations to recruit. She then moved into the Local Government arena, first in a generalist HR capacity before specialising in resourcing. Initially this was working in Education before she took up the role of Head of People Resourcing for Birmingham City Council. She is now responsible for the resourcing of a workforce of c20,000, covering a broad spectrum of occupations, quite literally from an Accountant to a Zoo Keeper. The emphasis of Sue’s role has changed in recent years from large scale recruitment to dealing with an unprecedented level of displacement, redeployment and redundancy. Jacques Bossonney is the Vice President of Sales for Recruitment Process Outsourcing across EMEA at Kenexa, an IBM Company. Before joining Kenexa, Mr. Bossonney was Managing Director of RPO for Korn/Ferry Futurestep. Prior to his tenure with Futurestep, he was responsible for managing ADP’s multinational consulting and sales across Europe. Mr. Bossonney has been involved in the design and negotiation of several global and regional outsourcing agreements with clients in industries such as Financial Services, Manufacturing, Retail, Telecommunications and Oil and Gas. Mr. Bossonney has 25 years of industry and professional experience, focused in the leadership of consulting and management teams with a solid experience in recruiting and leading consulting and sales professionals. Eighteen years of his career were spent in New York and Detroit, working for IBM, Digital Equipment, Amdahl, PricewaterhouseCoopers and Compuware. Mr. Bossonney holds a Bachelor’s degree in Biology from Université of Lyon and an MBA from the Kellogg Graduate School of Management at Northwestern University. 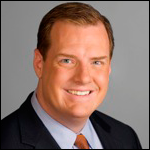 Jim McCoy is the RPO Practice Leader for North America. In this role, he leads a team of more than 500 recruiting professionals who provide RPO services for 40 clients in the US and Canada. 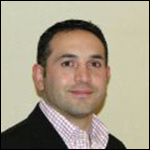 Additionally, Jim is responsible for Global RPO business development. He established ManpowerGroup’s Global RPO Center of Excellence, and has supported the expansion of RPO services into 46 countries. Jim came to Manpower from Fidelity Investments, where he built and managed a talent management consulting group for Fidelity’s Veritude division. In this role, Jim led his division as they assisted clients in the development and implementation of recruiting and retention strategies, business process redesign and change management. Jim has been a featured speaker at a number of HR industry forums, including the HR Planning Society, the Thought Leadership Institute and the Human Capital Institute. He has published and been quoted extensively in the recruiting and human capital press, and has developed specific expertise in the integration of candidate assessment into the recruiting process. Prior to his work in the human capital industry, Jim spent more than 10 years in financial services. His past roles included Marketing Manager for Chase Manhattan Bank’s Latin American payments business, and Product Manager for BankBoston’s correspondent banking business. He was an active member of the Association for Financial Professionals, where he was an editor for both The Essentials of Cash Management, 7th ed., and The Essentials of Treasury Management. Mark joined Barclays as Lead Resourcing Business Partner in 2013. He has previously led in-house teams including the contingent worker team at Goldman Sachs and European recruitment at MF Global. Having joined in 2013 Mark’s focus is on the Chief Operating Office and the Customer Transformation business areas at Barclays. He holds a Masters in English from St Andrews University. 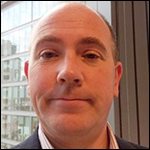 Chris Taylor is the Global Talent Acquisition Manager for SABMiller Procurement the central strategic sourcing arm of SABMiller PLC. Graduating from Hull University in 1993, Chris joined Hays Recruitment and three years later Martin Ward Anderson as a recruitment consultant and later manager for Accountancy and Finance professionals. In 2000 he joined a new start up, Imprint Search and Selection, formed to provide retained search services to blue chip enterprises seeking middle to senior management (the so called marzipan layer). After eight years leading a practice area Chris moved in 2009 to SABMiller in Switzerland to recruit global procurement professionals for the newly created Strategic Sourcing business group. During his three years with SABMiller, Chris has hired over 200 people for a variety of functions, including 15 months looking after the Global Headquarters in Woking. Currently Chris is responsible for finding the talent to create and operate regional procurement centres in Europe, Latin America and South Africa and Switzerland. Andrew Wilson is Head of Resourcing & Workforce Planning for Visa Europe. Visa Europe is a not-for-profit Member’s Association owned by Europe’s banks with the goal of becoming the world’s most trusted currency. 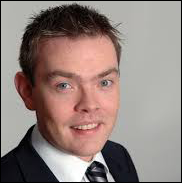 Having joined Visa Europe in late 2011 he has defined the resourcing strategy and re-tendered all the resourcing suppliers, the largest being the combined MSP/RPO provider for Europe. His particular passion is “connecting the dots” between sometimes disparate people processes that impact the organisation’s ability to deliver its business plans. Prior to his time at Visa Europe Andrew held Talent Management roles in Jaguar Land Rover, GE Aviation and Smiths Aerospace, all of which included resourcing either in Europe and/or the USA. In his early career he held other HR roles at Honda and National Grid.